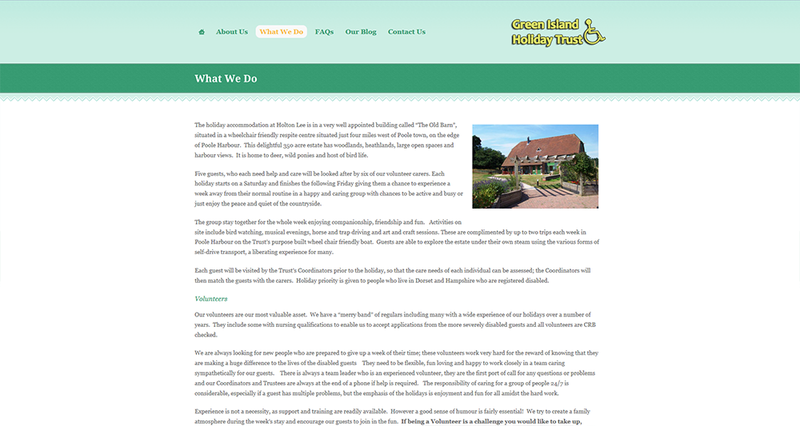 GIHT are a registered charity providing holidays and respite for disabled and disadvantaged residents of Dorset and Hampshire. 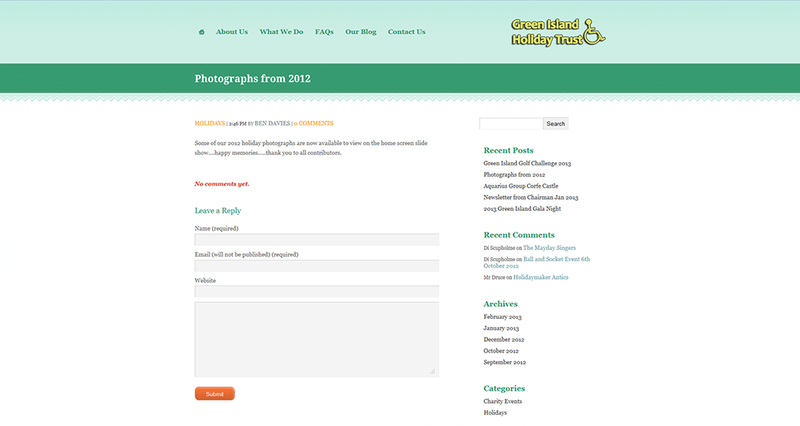 With our help GIHT looked to vastly improve their online efforts. 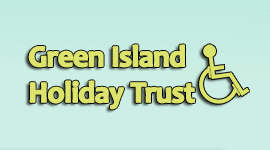 Voluntary work for a great charity! 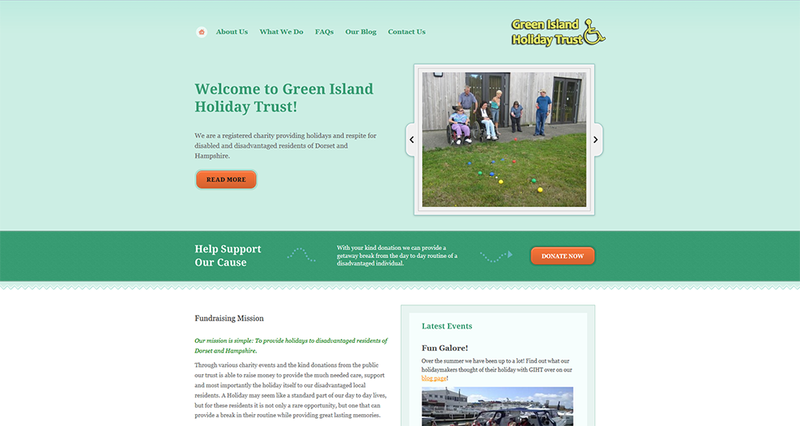 The Problem Green Island Holiday Trust is a fun and lively charity, they survive off the kind donation of the public, however Chittak found when looking for GIHT's website that not only was the site visually out of date, it didn't portray what they were about. The Solution Our solution was based around a great charity Wordpress theme, through our customizations the site matches the charitys colours and allows them to blog about all the exciting things they get up to. 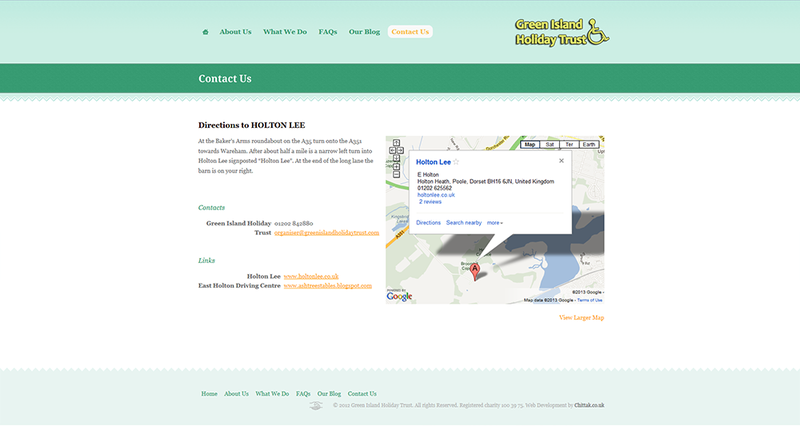 The site is now a place where members of the charity can look back on a great experience and chat with others through the site. Another great benefit is the ability to accept donation on the site, opening up another chance for the public to donate to a great cause.